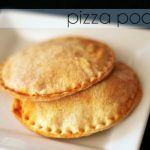 Easy pizza pocket recipe to turn dinner time into family cooking night! 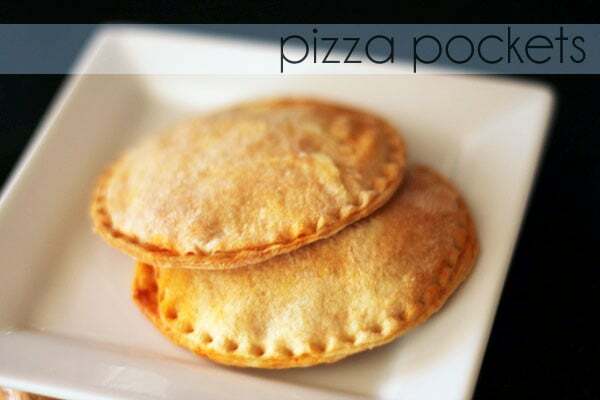 Everyone can enjoy their own homemade pizza pocket they help create! Pizza pockets are a fun meal to make when you have smaller appetites to feed. These hand-held pizzas are also easy to prepare in advance and pop in the oven once the kids come home from school, or before you are having people over to watch the game. Making pizza pockets at home is more daunting than simply purchasing similar products in the freezer section of your local grocer, but I enjoy the fact that I can control the ingredients list and customize each pocket. There was one important tool that I used during the creation of the pizza pockets, the Pampered Chef Cut-N-Seal. 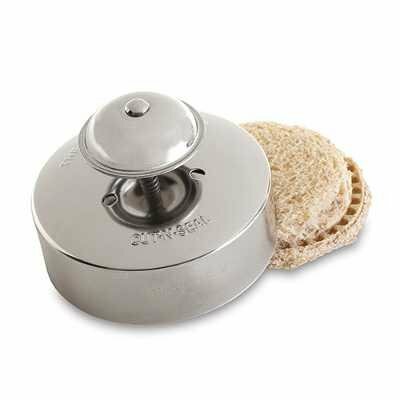 This product is fantastic at cutting the dough for the pockets and sealing them up. 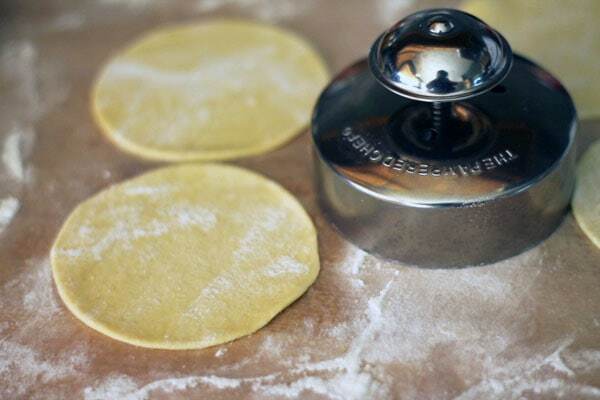 In the first step of this recipe you will roll out your dough and then use the Cut-N-Seal tool to create the round shape. To do this, you simply press down on the outsides of the device (not the knob on top – when you press that, it will create the seal). 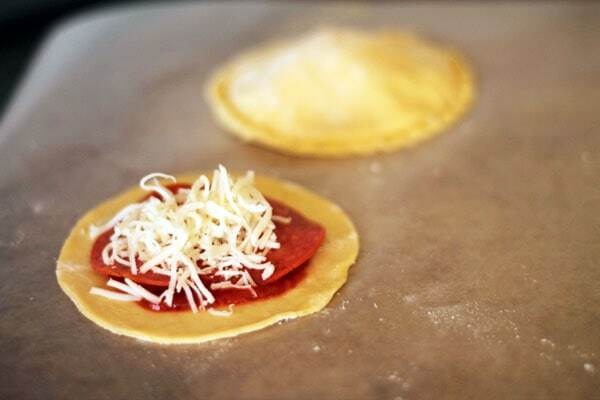 Fill up your pizza pockets with yummy ingredients (sauce, pepperoni, and mozzarella cheese shown here) and then add another layer on top and press down with the Cut-N-Seal tool to seal up your pocket. The perfect dinner idea when everyone loves a different kind of pizza. 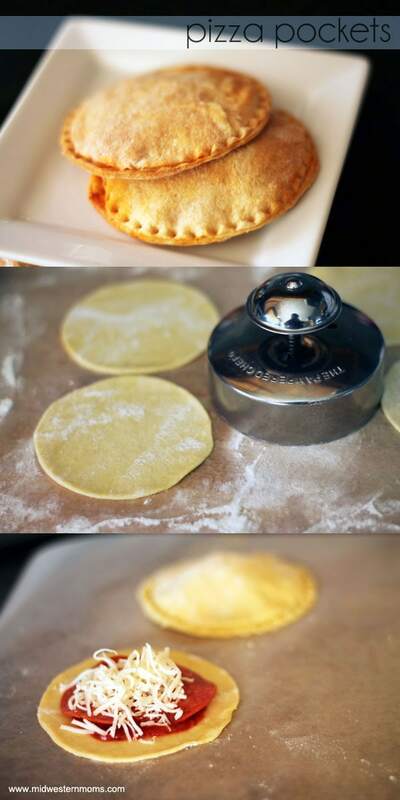 Open the crescent roll cans and lay out flat on a surface. I put a little flour on my surface and used a rolling pin to roll them out pretty thin. Note: Don’t use too much flour, just enough so that they won’t stick. Using the Cut-N-Seal tool (or a large, round cookie cutter) cut out circles in the dough. Cover the pizza with an empty dough circle and stretch a bit so that the edges meet. Using your Cut-N-Seal (or a fork if you used a cookie cutter above) press the edges together. Bake at 350 until the dough is light brown and flaky, approximately 10-15 minutes. Lightly brush tops of pockets with butter for taste (optional). The next time that I make these, I believe that I will try to cut the top piece of dough a bit larger than the bottom, to accommodate for more ingredients to be added to the pocket. Can you make these a head,than freeze them. I have not made them ahead of time to put in the freezer so I am unsure about that. Sorry I don’t have a good answer for you. I am keeping these all the time. I cook them according to the recipe then freeze them. My husband takes them to work and just microwaves them. They are convenient for him and he loves them. Awesome! Glad he likes them and they are convenient!